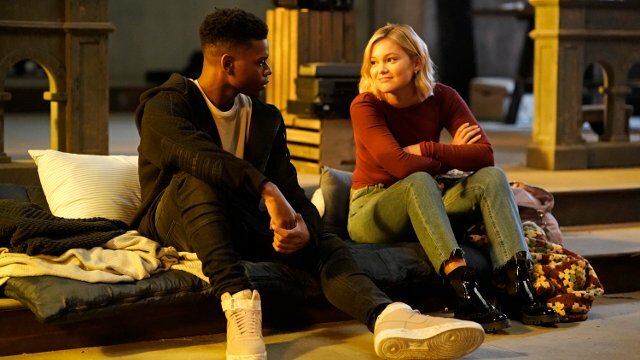 Cloak & Dagger season 2 episode 1 has Tandy and Ty living a version of the other’s lifestyle when we met them in the series pilot. Tandy is attempting to get her life back together. She and her mother are in therapy. She has taken up ballet again. Ty, on the other hand, is the one on the run, living in the abandoned church. The two lie to one another–and themselves–about how their lives are going and what they’re doing with their time. Tandy is trying to deal with her feelings toward her father after learning last season that he was an abusive husband. Inaddition to wearing herself out dancing as a way to physically deal with her pent up emotions, Tandy takes it upon herself to try and get one of the other women at the support group, Mikayla, out of an abusive relationship by using her daggers to vandalize her boyfriend’s house and leave him a message carved into the living room wall. Ty is still wanted for murder by the police. That means he continues to isolate himself from those he cares about by limiting his interactions with them to spying on them from afar. He has Brigid looking out for him, giving Ty a heads up about gang activity moving toward his church hideout. 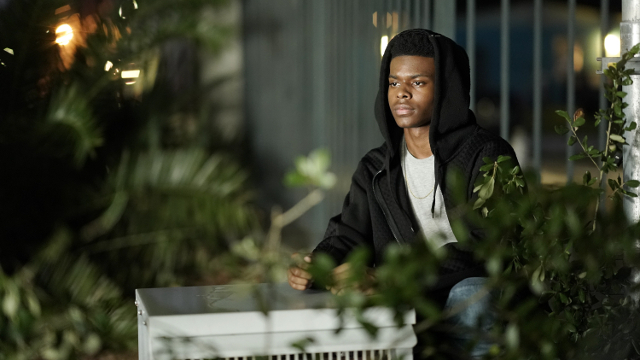 Ty tries to stop the gangs by teleporting into their hideouts and stealing money and drugs. Unfortunately, his actions only escalate tensions between the gangs, threatening the work that Brigid and the NOPD are doing to arrest the leaders. In spite of what the two have told each other, Ty knows that Tandy hasn’t given up using her powers. Tandy finds out about Ty’s activities when she goes to the church to talk to him only to find Ty gone and a marked up map of the city leading her to find him at one of the gang hideouts. It’s a good thing for Ty that Tandy arrived when she did, as the thugs surprised and got the drop on Ty. Tandy is furious at Ty, less for lying to her and more for not asking her for help. When Ty overhears that the gang leaders are gathering for a sit down at a club, Ty apologizes to Tandy and asks for her help. With Tandy as lookout, Ty teleports into the meeting room and secures a voice recorder under the meeting table. The two hang around killing time until the meeting ends to Ty can retrieve the recorder with the gang leaders discussions to turn over to Brigid so Ty can make up for all the trouble he has caused her and the NOPD. As they’re watching the meeting room, one of the gang members is thrown against a glass wall, leaving a bloody smear. The two rush in into the room and corpses of the gang members littering the room. 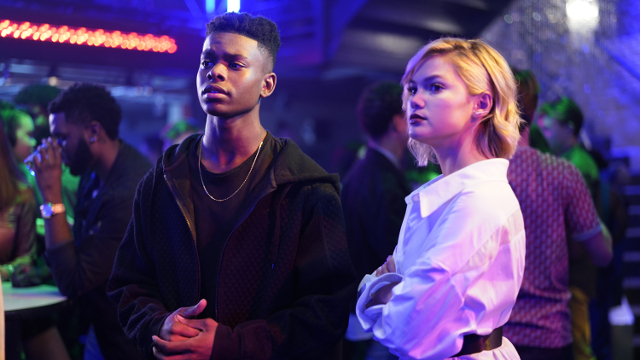 What did you think of the first half of the season 2 premiere of Cloak & Dagger? Let us know in the comments below.